Lopez, one of the most revered surfers of his generation, presents a collection of 41 profiles of those who have been influential in the sport--surfing any time, any where, and in any way. In the world of surfing the name Gerry Lopez is synonymous with style. In this collection of surfing (and some snowboarding) anecdotes, Lopez recounts with his typically laidback style a lifetime of rich experience. For those that don't surf some of the surfing jargon may be difficult to overcome but for any surfer worth his or her salt, this is a must read. Delivered in a humble and honest yet light-hearted and entertaining voice, Lopez offers some insightful words of wisdom valuable to all. I had a hard time putting this book down. 5つ星のうち1.0The book is 5 stars but the Kindle version is an lesser abridged copy of the book lacking many of the way cool surf pictures! The book is 5 stars - the Kindle Edition is 1 star. If you buy the Kindle version - you are getting a fraction of an excellent book that lacks all the chapters and many, many of the amazing pictures in the book. I first bought the kindle version, loved it and then bought the book as a gift for a friend and I was shocked looking at the book at what is NOT IN THE KINDLE Version. Huh? I am not a surfer but a climber but loved the stories in the book. If Amazon is going to sell a Kindle version - they need to be upfront and tell the buyer what they are not getting compared to the original book form. 5つ星のうち5.0Life is surfing, Surfing is life. This is a book written by a surfer for surfers and anyone else that has ever been to the beach and seen someone ride a surfboard and said how do they do that? The writer is not only a talented world class surfer, an actor, but also an author of this and other books. Gerry Lopez tells his story in true Hawaiian, "talk story", style. Each chapter is a new adventure and some that take you to waves that he discovered or was just discovering with some of his friends who are listed in the Who's Who list of the best surfers in the world. Pick up the book I guarantee you won't put it down. Gerry, if you read this, I'm a year younger than you and still surf and reading this book makes me want to go out and surf with a young heart and passion everyday. 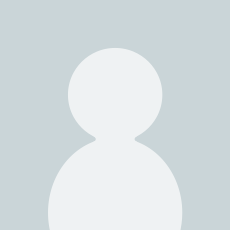 I hope you have more stories to tell and a new book is on the horizon. Thanks for telling us your history through your stories. I've always liked Gerry Lopez. Sure he was made into a kind of God in Big Wednesday, where I first heard about him, but there is no denying his style and grace in difficult waves. And what's more, after seeing him at G-Land in Endless Summer 2, he also showed he had a good sense of humour and was a great bloke as well. 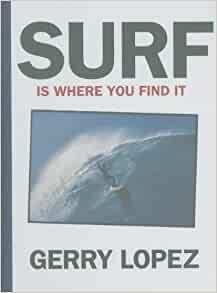 And so when I saw this book come out, I ordered it and found it reveals yet another great side to Gerry Lopez, an intelligent writer, and a thoughtful, rounded person with a great perspective on surfing and life. What a true legend. Lopez was there when Bali and Java was just beginning to take off in the 70s and 80s, being amongst the first to surf the world-class waves there. He talks about places I've surfed and can relate to-like never, ever allowing yourself to get caught inside at inside G Land's Speedies reef on a big day, or just how far you can go back in the tube at Uluwatu on a big day. Everyone knows he was amongst the standouts on the North Shore for years in the 70s, but he was also amongst the first to see Jaws before tow-ins. There is stories here on Chile, the Mentawais, Hawaii, Australia etc, and good historical stuff from the 60s and 70s-including his best ever day at Pipeline-a west swell with a 26 second period. He has surfed all over the world for decades, and this book contains some of his best memories and stories from those travels. He doesn't care much for the sometimes pretentious surf magazines, sponserships and inflated egos that can sometimes pervade surf culture today, he'd rather be out in remote Indo, Hawaii or Oregon with just his board and the ocean. Need I say more? This book is superb surf writing, one of my favourites. Now I only want to see my other favourite surf legend and unpretentious traveller-Tom Curren- write a book as well. The book is made of several stories which have a lesson in both surfing and life. I loved the fact that Gerry talked about fear and how he has been confronted by the sea several times, i guess its the first time an iconic surfer like him gives us a glimpse of their inner thoughts while surfing. Personally we always see people like Gerry like stone cold people that are not afraid of anything, but after reading this book i realized that where they excel is in the way they confront their fears. The book is great, i will treasure several of the lessons in it. I grew up reading about and watching Gerry Lopez surf and he was revered as a surfing god. It was refreshing to read in his words that he was anything but that. Gerry heaps praise on many of the other surfers of his day for their style and ability, and directs most of the focus away from himself. It was really interesting to read how difficult and dangerous in can be in big wave surf, and that just paddling out to the lineup can be treacherous let alone being held under water by relentless sets of waves with the hope of just catching a brief breath. Very cool to read about all of the globetrotting for the "perfect wave" as well. Highly recommended to anyone with an interest in things water related.